Batik Pesisir was produced in coastal areas of northern Java and Madura that were exposed to sea trading and consequently was influenced by cultures from other parts of the world. It was distinguished from the batik that came from the rest of Java which emanated originally from the keraton, or royal courts, and was fundamentally free from foreign influences. Pesisir batik was generally more colorful, and used floral motifs, Chinese and Arabic motifs, birds, animals, sea creatures, and motifs from nature. This is a sarung signed The Tie Siet, Pekalongan and reflects the trend during the 1920’s for Chinese batik makers to imitate the success of the Indo European batik makers of the previous generation in supplying “buketan” motif batik for European tastes. The Chinese taste at the time favored a softer, pastel color pallette. This batik from Lassem circa 1920 has exotic animals such as lions, elephants, and camels. Also from the collection of Rudolf Smend. This is a detail from a contemporary batik from Wiradesa, Pekalongan, a batik producing center on the northern coast of Java by Sutoyo Slamet. https://web.facebook.com/sutoyo.slamet?fref=ts It can be considered pesisir both geographically and stylistically. In contrast to the coastal or pesisir batik, that which came from the keraton in Central Java was of a much more limited color palette, using shades of sogan brown and indigo blue depending on which court it came from. The motifs were highly symbolic with specific cultural significance, some even reserved solely for the use by members of the royal court. 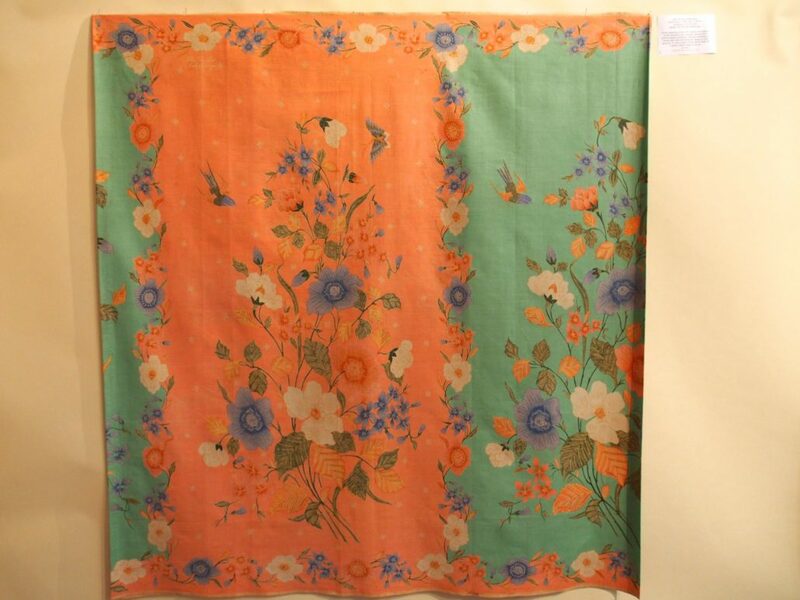 This batik is by Nyonya (Mrs.) Lie Boen from Kudus in the 1930’s. Considered pesisir, it is characteristic of batik from the few makers in that area near the northern coast of Java, by it’s detailed background using traditional keraton (court) motifs from Central Java, such as this parang motif in the traditional sogan color, with the buketan popular at the time in coastal batik. Already at this time styles were being mixed up and composed into unique combinations. From the collection of Rudolf Smend, Cologne, Germany. This is a detail from a contemporary work from Batik Setyowijaya https://web.facebook.com/raji.setyowijaya?fref=ts of Yogyakarta in Central Java, composed of traditional nitik patterns in sogan color from Yogyakarta. It is a unique and intricate composition of traditional motifs. Much has changed in the the production of batik in Java in this last century. Styles have been mixed and there is no longer exclusivity of use. The traditional parang and kawung patterns originally reserved for members of the court are now worn everyday by anyone and are often combined into one composition with bouquets and butterflies originally seen only on pasisir batik. It would be very difficult to determine the origin of a contemporary batik today. This is a contemporary batik by Solikhin Ahmad of Artho Moro Batik https://web.facebook.com/solikhin.ahmad.3?fref=ts from Wiradesa, Pekalongan that combines parang rusak, a traditional pattern from the royal courts of Yogyakarta and Surakarta, with typical floral motifs of coastal, Pesisir batik, in natural dye colors. In the past, there were distinguishing characteristics that identified the origin of a batik, for example the batik from the court of Yogyakarta were predominantly shades of blue and cream, and those from the court of Surakarta (Solo) were sogan brown, with black. Besides color, certain patterns can help identify batik from certain areas as well. But not always. For example the mega mending pattern (clouds) is considered unique to Cirebon. The delicate shading is achieved by successive lines of wax and immersions in the same dye bath color, in this example, blue. This is a contemporary piece commissioned by The Language of Cloth made by Bu Bun of Cirebon. Undoubtedly the most skillful examples of this motif are made in Cirebon. This one has seven gradations! But here are some other examples of mega mendung made in other areas of Java. This one is a political statement about the environment created by the artisans of The Language of Cloth in Kliwonan, Sragen, Central Java.